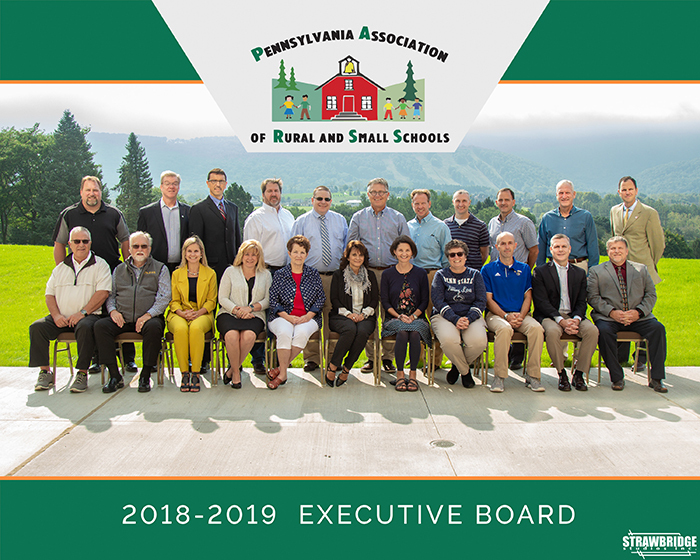 Our board directors work together to ensure that the goals and actions of PARSS continue to fulfill our overarching goals of ensuring fair funding to schools and a quality education for every child in Pennsylvania. The board is comprised of members from each region to ensure equal representation in every region. Karen began her teaching career as a substitute teacher and then as an art teacher for the Franklin and Valley Grove School Districts in the mid-1980s. While teaching, Karen became involved in leading many extracurricular activities including class advisor, coach, student assistance team, and peer mentoring. Karen became an assistant principal at TMS in 1996 before taking on the role of principal for the newly constructed middle school in 1998. She was instrumental in leading the school’s program development, which opened in 1999. The school has since become a model for middle schools across the Commonwealth. After serving as the assistant superintendent, Karen accepted the position as superintendent of schools for Titusville in 1996. Here she continues making her mark as a top quality school leader, not only locally, but also across the Commonwealth of Pennsylvania. 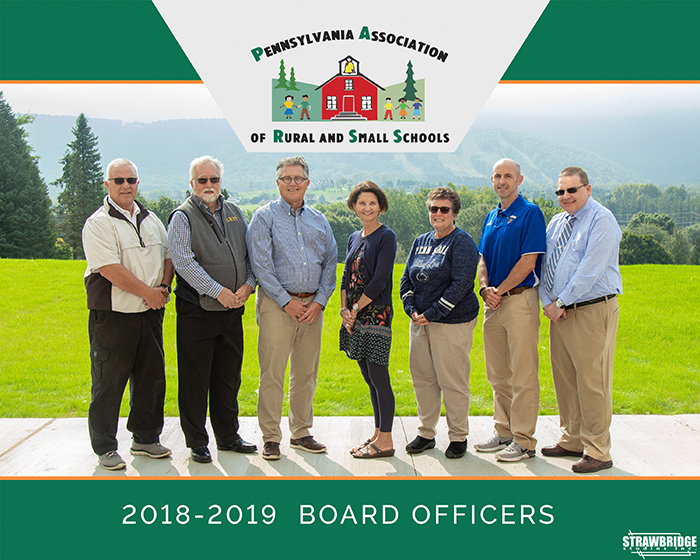 Karen is vice president of the PARSS board, a member of the FORUM for the Superintendents of Western PA, and active member of the professional development committee for the PA Association of School Administrators (PASA). Education: Graduated from West Virginia Wesleyan College, BS in business education (1989); MA in special education from West Virginia University (1995); MEd in secondary administration from Frostburg State University (1998). Teaching Experience: Long-term substitute at Widmeyer Elementary in 5th grade, Berkeley Springs, WV (1989-90); learning support teacher at Widmeyer Elementary School (1990-97); learning support teacher at Hedgesville Middle School, Hedgesville, WV (1997-99); assistant principal at Bald Eagle Nittany High School, Keystone Central School District, Lock Haven, PA (1999); high school principal at Everett Area School District, Everett, PA (1999–2004); superintendent at Caledonia North Supervisory Union, Lyndonville, VT (2004–2007); superintendent at Northern Potter School District, Ulysses, PA (2007–Present). Leadership: board of governors PARSS (2007–Present); vice president of PARSS (2016); board of governors PASA (2011–present); board of governors Potter County Education Council (2007–Present); hospital advisory board at Charles Cole Hospital, Coudersport, PA (2011-present). Presented at ISTE (International Society for Technology in Education), NREA (National Rural Education Association), PSBA/PASA conference, MCL (Mass Customized Learning Conference) both at the state and national levels. Topics included: collaboration of agencies in Potter County, technology integration, mass customized learning. Family: I have been married to Alicia for 28 years, and we have three children: Kyle 22, Shayna 18, and Nicole 17. Hobbies: travel, hiking, and I am an avid Pittsburgh fan (Steelers, Pirates, Penguins). Michele M. Orner, Ed.D. is the current superintendent of the Octorara Area School District in Atglen, Pennsylvania and the former superintendent of the Halifax Area School District in Dauphin County. Her previous administrative experience includes career and technical education director for the Carlisle Area School District, assistant principal in the Cumberland Valley School District, principal of the Franklin County Career and Technology Center, and the senior high project coordinator at Mechanicsburg Area Senior High School. She began her career in education in 1992 as an English, speech, and theatre arts teacher at Fairfield High School in Adams County and taught Effective Speaking at the Gettysburg Campus of Harrisburg Area Community College (HACC) for over 22 years. Michele holds a BA in theatre from California University of Pennsylvania, masters in English education from Shippensburg University, and a doctorate in education leadership from Duquesne University. She has her certification as an English teacher, K–12 principal, supervisor of language arts, vocational administrative director, and superintendent of schools. Michele supports public education as an Education Policy Leadership Center (EPLC) fellow and a member of the Pennsylvania Association of School Administrators (PASA). She is proud of the advocacy work PARSS does for rural and small schools, and she considers it an honor to serve the organization as its secretary. Michele and her husband of 30 plus years live in Parkesburg, Pennsylvania. Their son, Benjamin, is a graduate of Kent State’s School of Journalism and Mass Communication. He is currently working as a news producer at WILX in Lansing, Michigan. In their spare time, the Orner family enjoys traveling, NASCAR, and supporting community service projects. Mr. Matthew Splain is the superintendent of schools for the Otto-Eldred School District, a small rural district located in McKean County, northwestern Pennsylvania. Mr. Splain received his B.S. in Mathematics from St. Bonaventure University in 1997 and, after receiving his Pennsylvania certification, began his teaching career in the Coudersport Area School District. During this time, he completed his coursework for a M.Ed. in Curriculum and Instruction from Gannon University (2001) and qualified for his principal’s certification. In March 2005, Mr. Splain became high school principal for the Otto-Eldred School District. Mr. Splain completed additional coursework at St. Bonaventure University and received his superintendent’s letter in 2010. He became superintendent of schools for the Otto-Eldred School District in April 2011. Mr. Splain currently serves as a member of the Executive Board of the Pennsylvania Association of Rural and Small Schools (PARSS), the Advisory Board of the University of Pittsburgh at Bradford, the PIAA District IX Committee, is a board member for McKean County CASA, and is a member of the Leadership McKean Class of 2014. He also enjoys volunteering his time as a youth sports coach for numerous local organizations and serves on the Parish Finance Council for St. Raphael’s Church in Eldred. Mr. Splain currently lives in Duke Center, PA with his wife, Melanie, and their four sons, Maxton, Manning, Macaibe, and Maddon. Below you will find our meeting dates for the 2018-2019 school year.